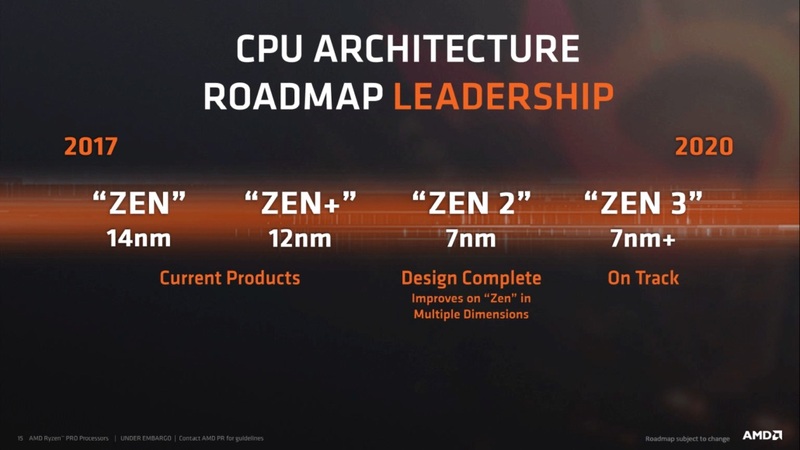 On several occasions, AMD executives pointed out that the Zen and Zen+ cores, which are used in the current Ryzen line-up, would be succeeded with a full line of worthy successors. Earlier this year it was confirmed that Zen 2, which will be produced on Globalfoundries 7nm process, is design complete and on schedule for release in 2019. According to the slides in the presentation, it will contain “multi-dimensional” improvements, but what that entails remains to be seen.  Most sources speak of more cores and a higher clock speed while keeping power usage in check. Ryzen 7 family 3000 processors for the desktop could contain up to 12 or sometimes even 16 cores and are expected to be announced in the first half of 2019. They will probably be released for the current AM4 socket, so Ryzen 1×00 and 2×00 series users are offered a clear path to upgrade their machines to AMD’s latest and greatest. Something the competition still is unable (or, more probable: unwilling) to do. However, the first Zen 2 based processors are not expected to be desktop parts. Hints and rumors from the field indicate that AMD will be sampling it’s Epyc enterprise server parts this year. This is due to the fact that manufacturers and system integrators often need quite a while to test and certify enterprise server products. Zen 2’s successor is rumored to be produced on an improved 7nm process dubbed 7nm+ and is scheduled for release in 2020. Much like the move from 14nm to 12nm, the rumormongers expect a refinement release with improvements in base and boost clock speed, memory latency, and power usage. For reasons unclear, AMD decided to skip Zen 4, but when taking in consideration that this processor family is rumored to be produced on Globalfoundries 3nm EUV manufacturing process as GF wants to skip 5nm altogether, this kind of makes sense.